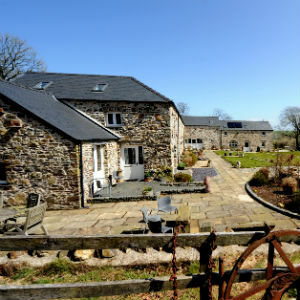 Asheston Eco Barns are 5 luxury self catering cottages in the heart of unspoilt Pembrokeshire that offer family friendly holidays with a sustainable twist. Hotel and location were made for each other – a restful, luxurious escape and retreat in arty, charming St Davids. A former priory transformed by high-end interior design. An amazing location above one of the most inspiring stretches of the Pembrokeshire coast. Spacious and comfortable, with imaginative cuisine. Wales's Celtic heritage is all around - St David's Cathedral, holy wells, ancient sites.